Participant records are regarded as confidential and therefore will not be divulged to any third party. We will not sell, share, or rent your personal information to any third party or use your e-mail address for unsolicited mail. Any emails sent by the WMBA will only be in connection with the provision of agreed services and products. Any data collected will not be shared with third parties other than stated above, and is used only within the WMBA. Any individually identifiable information related to this data will never be used in any way different to that stated above without your explicit permission. excludes all liability for damages arising out of or in connection with your use of this website. This includes, without limitation, direct loss, loss of business or profits (whether or not the loss of such profits was foreseeable, arose in the normal course of things or you have advised the WMBA of the possibility of such potential loss), damage caused to your computer, computer software, systems and programs and the data thereon or any other direct or indirect, consequential and incidental damages. 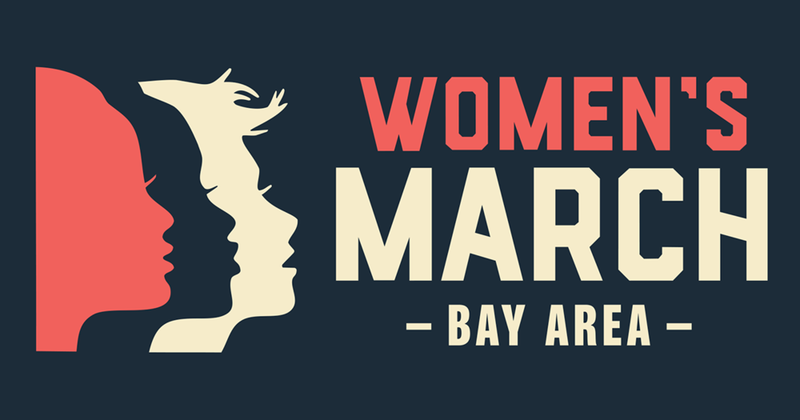 The WMBA will be providing the community a service of organizing a march on January 21, 2017. The WMBA is not legally liable for any issues or occurrences at this event. We reserve the right to cancel the event at any time. We do not monitor or review the content of other party’s websites which are linked to from this website. Opinions expressed or material appearing on such websites are not necessarily shared or endorsed by us and should not be regarded as the publisher of such opinions or material. Please be aware that we are not responsible for the privacy practices, or content, of these sites. We encourage our users to be aware when they leave our site & to read the privacy statements of these sites. You should evaluate the security and trustworthiness of any other site connected to this site or accessed through this site yourself, before disclosing any personal information to them. The WMBA will not accept any responsibility for any loss or damage in whatever manner, howsoever caused, resulting from your disclosure to third parties of personal information. Copyright and other relevant intellectual property rights exist on all text relating to the WMBA’s services and the full content of this website. We have several different e-mail addresses for different queries. These, & other contact information, can be found on our website or via WMBA literature. The WMBA is registered in California. I acknowledge that participating in this activity carries with it the potential for serious injury and property loss. The risks include, but are not limited to: actions of other people including, but not limited to, participants, volunteers, spectators, coaches, event officials, event monitors and/or producers of the event; lack of hydration, weather, and/or other natural conditions. I hereby assume all of the risks of participating in this event. I agree to abide by any decision of the organizers and event hosts to any aspect of my participation in this event, including their right to suspend my participation for any reason whatsoever. I acknowledge that this Accident Waiver and Release of Liability form will be used by the WMBA, events hosts and the sponsors of the event in which I may participate and it will govern my actions and responsibilities at said event. I hereby take action for myself, my executors, administrators, heirs, next of kin, successors, and assigns as follows: (A) Waive, release, and discharge from any and all liability for my death, disability personal injury, property damage, property theft or actions of any kind which may hereafter accrue to me or my traveling to and from this event, THE FOLLOWING ENTITIES OR PERSONS: the WMBA, and their directors, officers, employees, volunteers, representatives and agents, the event sponsors and event volunteers, (B) indemnify and hold harmless all entities or persons mentioned in this paragraph from any and all liabilities or claims made by other individuals or entities as a result of my actions during this event. I understand that at this event or related activities, I may be photographed. I agree to allow my photo, video, or film likeness to be used for any legitimate purpose by the event holders, producers, sponsors, organizers, and/or assigns. This Waiver Release shall be construed broadly to provide a release and waiver to the maximum extent permissible under the applicable law. By accessing this website and attending events you consent to these terms and conditions and to the exclusive jurisdiction of the courts in all disputes arising out of such access. If any of these terms are deemed invalid or unenforceable for any reason (including, but not limited to the exclusions and limitations set out above), then the invalid or unenforceable provision will be severed from these terms and the remaining terms will continue to apply. Failure of the WMBA to enforce any of the provisions set out in these Terms and Conditions and any Agreement, shall not be construed as waiver of such provisions and shall not affect the validity of these Terms and Conditions or of any Agreement or any part thereof, or the right thereafter to enforce each and every provision. These Terms and Conditions shall not be amended, modified, varied or supplemented except in writing and signed by duly authorized representatives of the WMBA. Your accessing of this website and/or participating in the march indicates your understanding, agreement to and acceptance, of the Disclaimer Notice and the full Terms and Conditions contained herein.